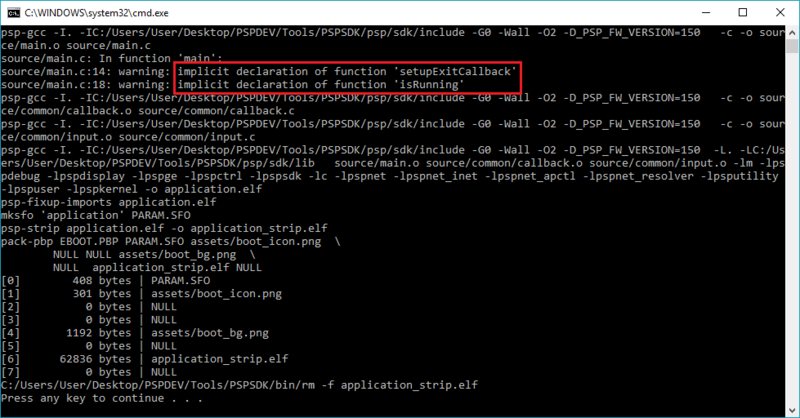 I've been trying to create a seperated callback & input header, However, whenever I include both in my main.c and compile the code, it says that the functions in the second included header do not exist. In this example, the functions, macros and variables from input.h will not exist. ...and it's the same for callback.h, except that it does compile (but not work for obvious reasons). I can confirm that my makefile isn't the problem here; both input.h & callback.h do work when only one of them is included. Thus, I've been wondering if this is a known limitation, if there is a way to work around it without the need of a mega header, or if I did just something plain stupid?. Last edited by No;HURRY on Wed Jun 07, 2017 8:13 am, edited 1 time in total. 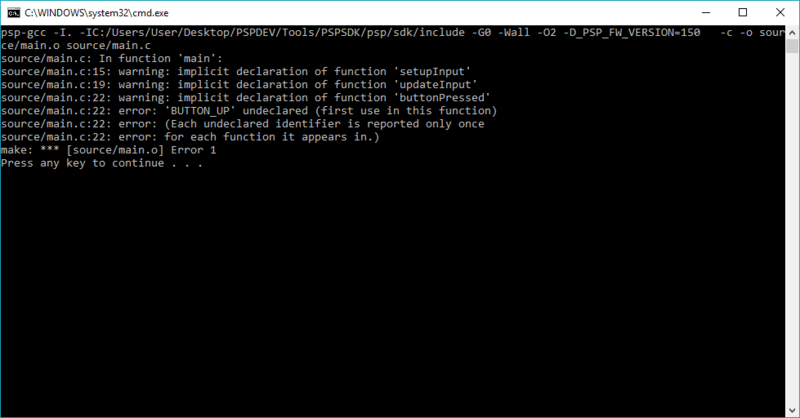 Re: PSPSDK - Includes only 1 header? I was just writing **** code as usual . The problem is solved.